My OC Mina, wearing a winter coat. Summertime is on its way. Wearing a high cut leg one piece and large floppy sun hat. Please ignore the face in her leg, I tend to draw over things in my doodles. 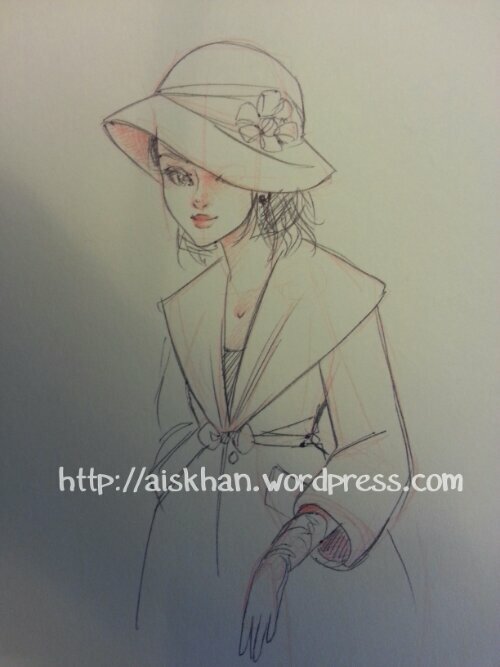 Practise drawing hats on people. Wearing a thick coat with ribbon tie detail at waist. All of these were done using a 0.5mm Black Ballpoint pen by R.S.V.P. and 0.5mm orange mechanical pencil lead.